This weekend Lotus F1 Team’s Kimi Raikkonen and Caterham F1 Team’s Charles Pic will go racing again, although not behind the wheel of their usual F1 machines. The two will be participating in the ‘Race of Stars’ event, a unique activity staged in Moscow, Russia, by Za Rulem, one of Russia’s most popular automotive magazines, and Renault Russia. A track covered entirely with ice will be constructed within Moscow’s Hippodrome, which is usually reserved for horse racing and other equestrian activities. The two will compete in the final races against the winners of the Race of the Stars in specially adapted Renault Duster cars, the all-terrain, lightweight 4×4 cars from the French marque. 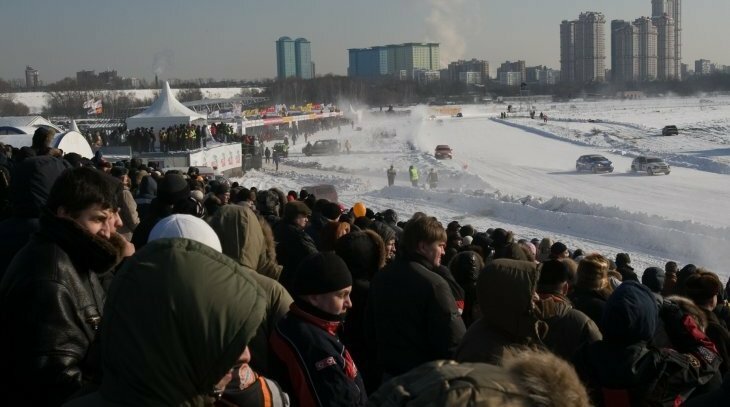 The Race of the Stars is one of the longest-running motorsports events staged in Russia, with 23 editions to date. The concept of the race is simple ; all competing drivers (selected from various motorsport disciplines in Russia and beyond) take part in qualifying, after which the racers are divided into four test groups. After four 15-minute semi finals, the grand finale is a three-loop sprint around the arena. The winner of this event is then pitted against Kimi and Charles to decide the ultimate winner. Some of the biggest names in the discipline have competed in the event, including four-times world champion Alain Prost, F1 race winner David Coulthard and Kimi’s team-mate, Romain Grosjean – all of whom have been powered, or continued to be powered by Renault, in their careers. Kimi already has significant experience of driving on ice ; and not just from his days back in Finland. The 2007 F1 drivers’ world champion competed in the FIA World Rally Championship for two seasons, with entries into the Arctic and Sweden rallies in 2010 and 2011. After showing impressive form, the Iceman finished the 2011 Swedish rally in eighth overall. Next Video: Kimi on a beach… What was he doing?